Hello hello!! 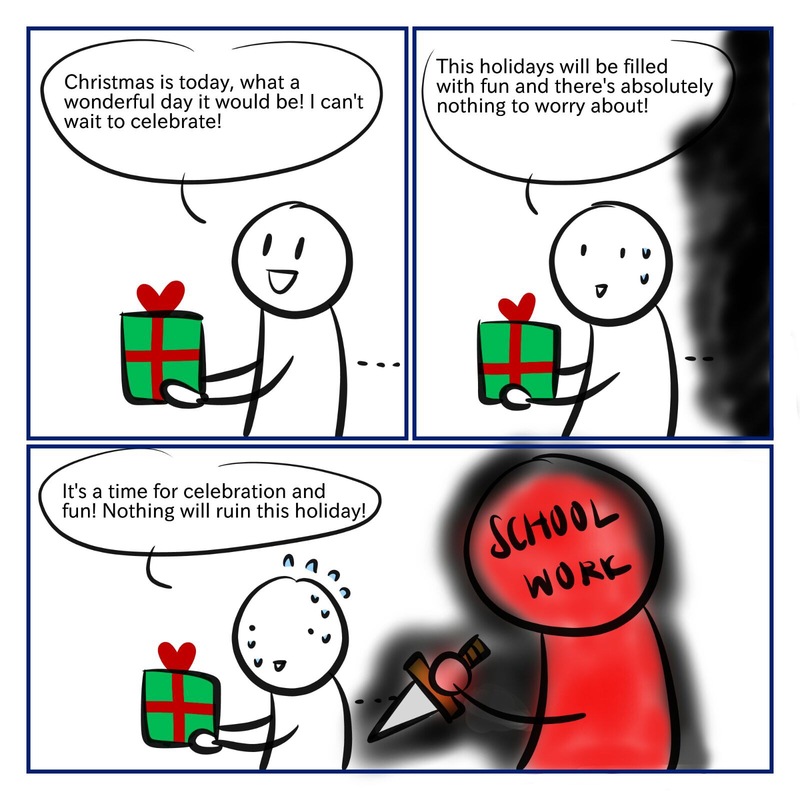 It’s your favourite punny passionfruits, back again with a Christmas Day special! It’s going to be so stressful next year, but if there’s one thing we’ve learned from NEmation, it is to never give up, even when you’re tired and frustrated when your file crashes. As a Christmas special, feel free to rewatch our Christmas dancing video on instagram over and over again and keep up with some weird shenanigans on our twitter. But as a little gift, here’s a special drawing made by Mabel! 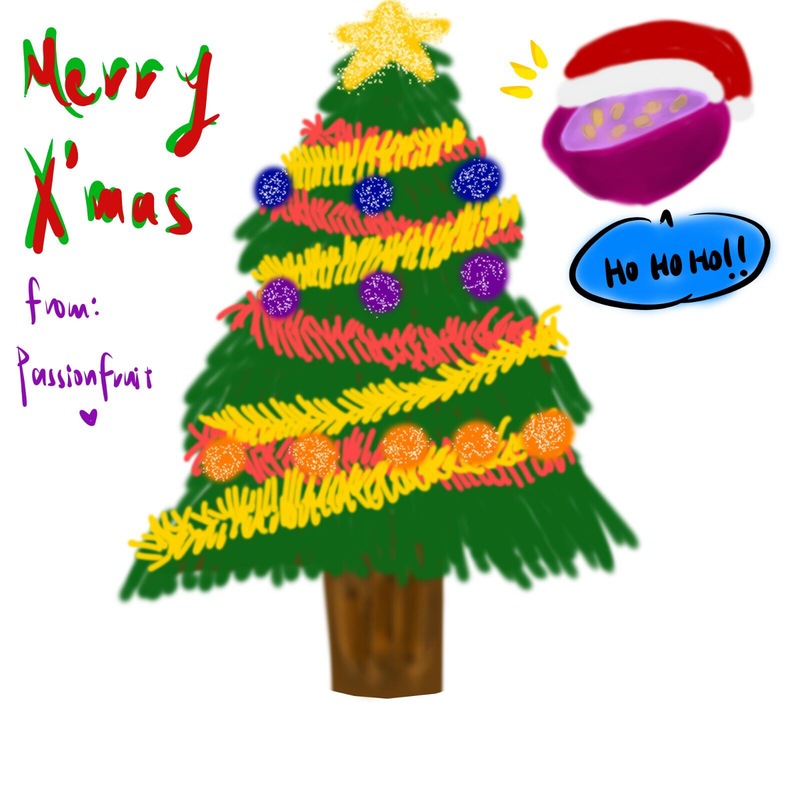 Have a merry Christmas from us Passionfruit! Ho ho homework! !